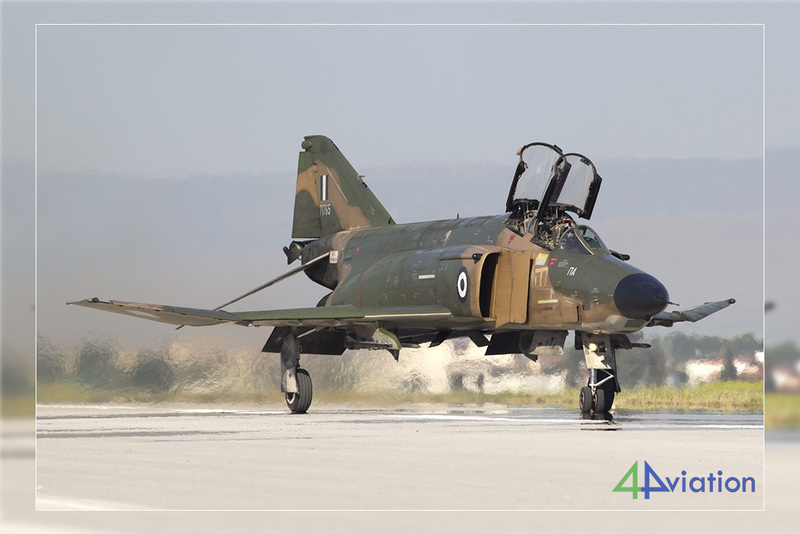 The Hellenic Air Force said goodbye to their RF-4E Phantoms and 348MTA at Larissa Air Base on 5 May 2017. 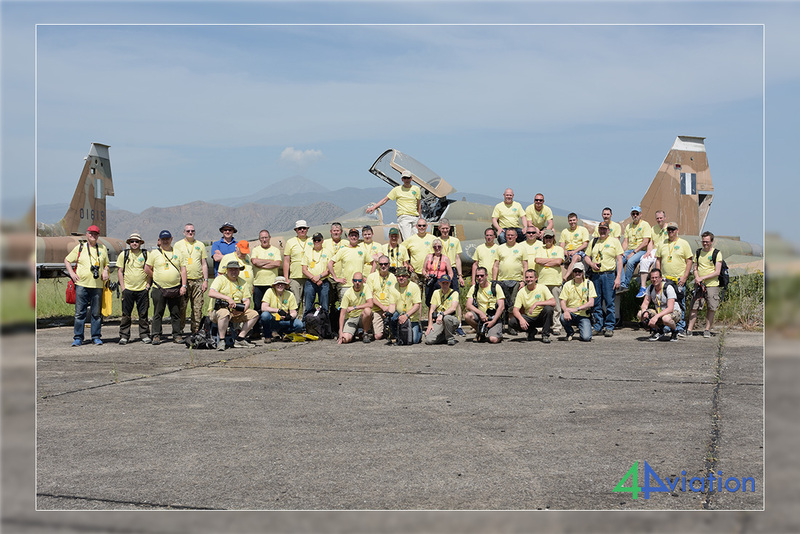 Photographers were welcome to witness the event and 4Aviation travelled to Greece with a group of 47. 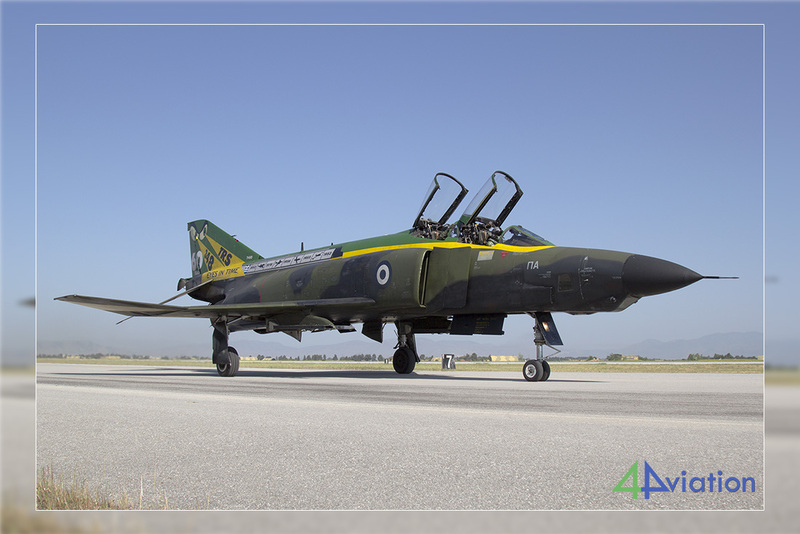 During our November 2016 Greece tour news came out that the withdrawal of the RF-4E from 348MTA at Larissa was scheduled for early May 2017. 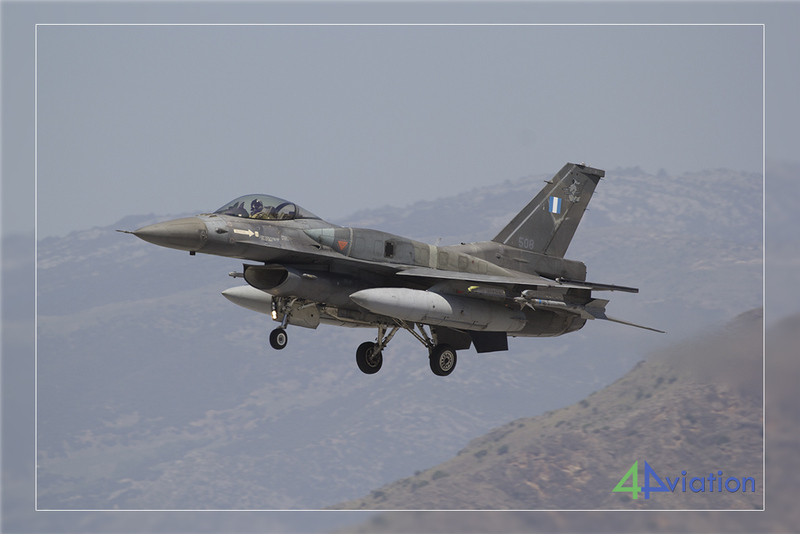 At the same time it was suggested that the unit was trying to allow photographers to come to the base to witness the events of the withdrawal, similar to what happened when the A-7 left the Hellenic Air Force. After that it took some time for things to become clear. 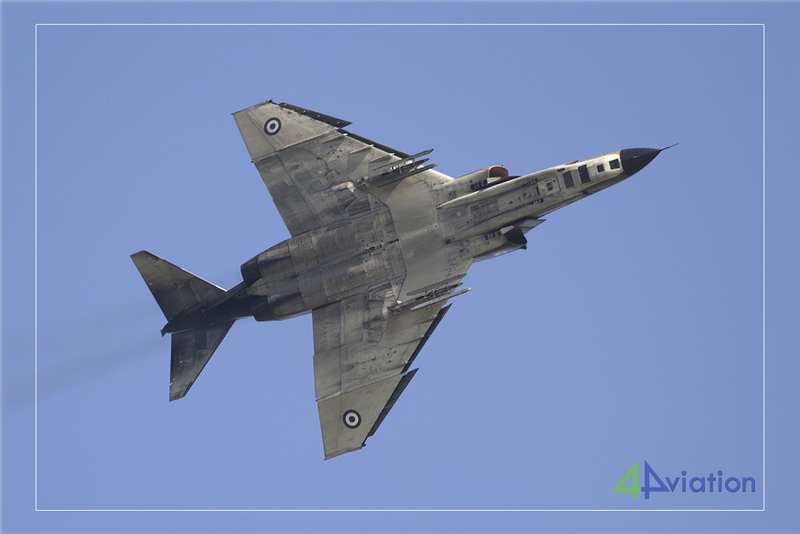 Eventually the unit was able to send out invitations in February 2017 for a spotters day on 4 May and a flying display on 5 May (for the official withdrawal). When they announced this things went fast. 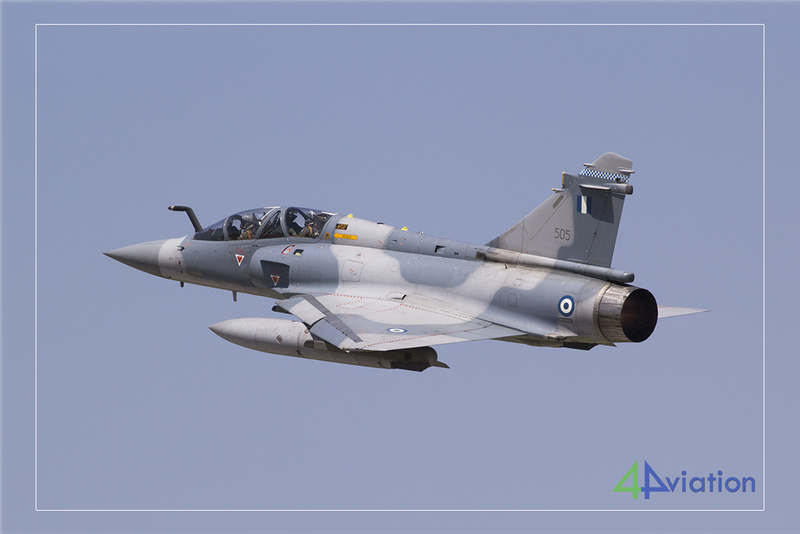 Eventually 47 people chose to travel to Greece with 4Aviation. And so we ended up with groups at both Amsterdam-Schiphol and Düsseldorf Airport on Wednesday 3 May 2017. All ready for their flight to Thessaloniki. 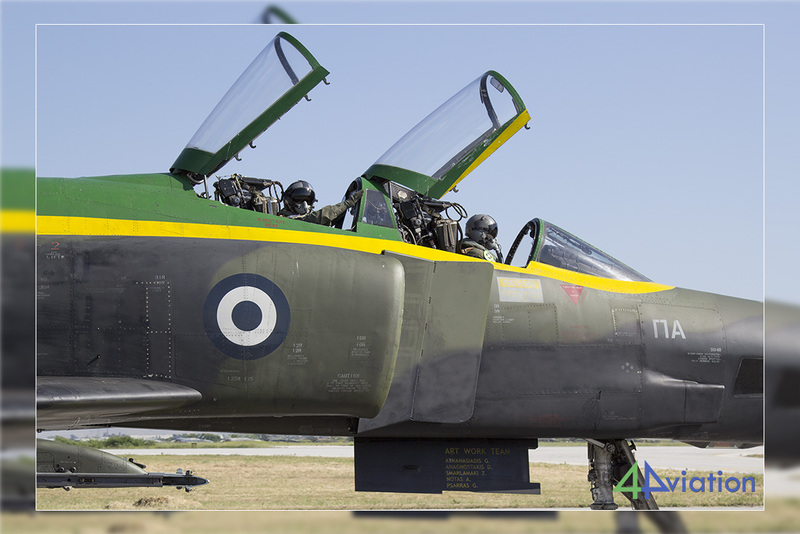 The two groups met at Thessaloniki Airport, where some others had already arrived as well. After waiting for the last two participants to arrive we boarded our bus and were heading for Larissa. Because of the group size we booked rooms in two hotels and early in the evening everybody had been handed a room key. The majority of the group ended up enjoying the local food and drinks later that evening. On Thursday 4 May everybody was up early. Obviously we wanted to be at the gate in time to undergo the registration process. 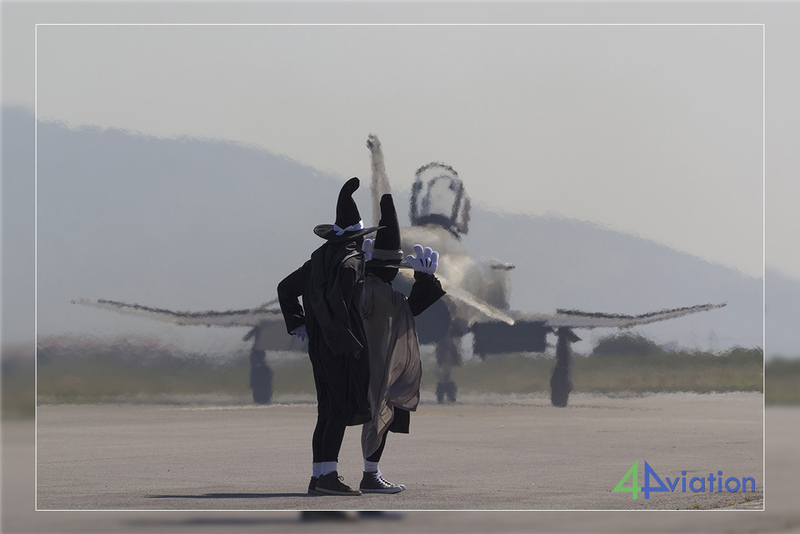 The entry process was pretty smooth and ended up on base just as the first aircraft took off. The weather was perfect, the area where we were positioned was large enough for all. In addition to that, the Greeks had arranged music, catering and a ‘souvenir’ shop. 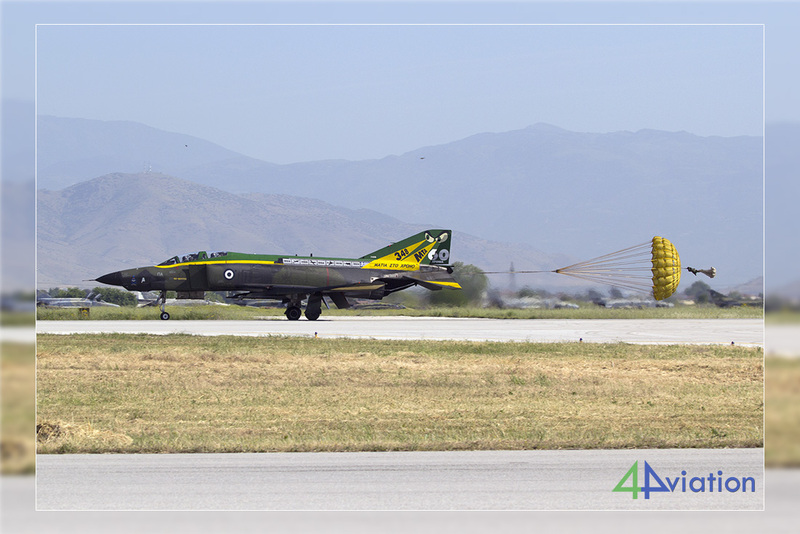 Two RF-4s (one in special colour scheme, the other in the original colours) and some F-16s took off early. 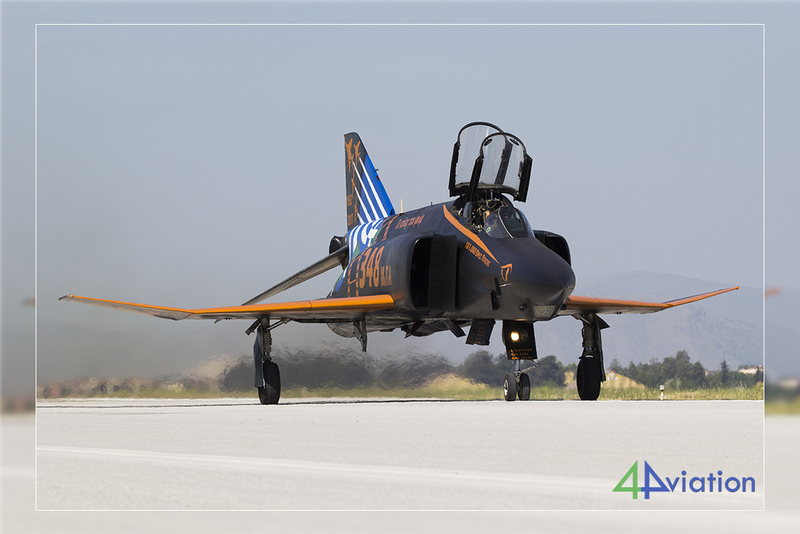 After their recovery the Phantoms taxied in front of us. 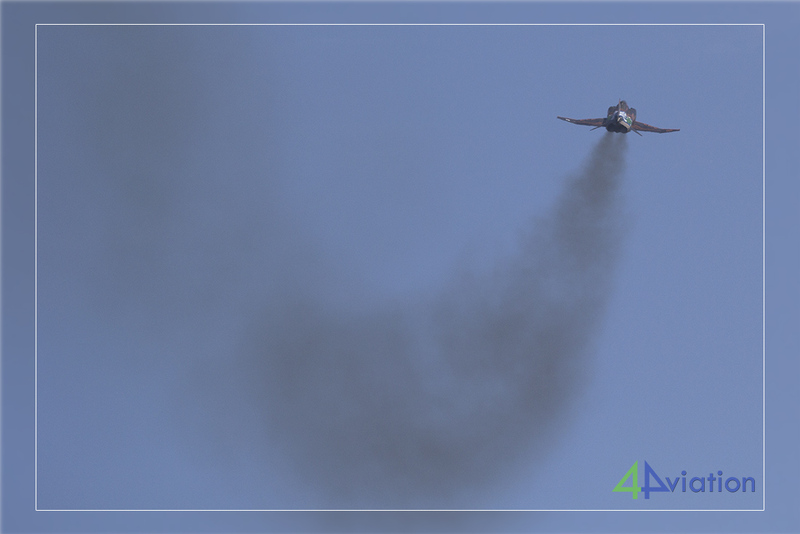 Unfortunately the F-16s didn’t do the same. 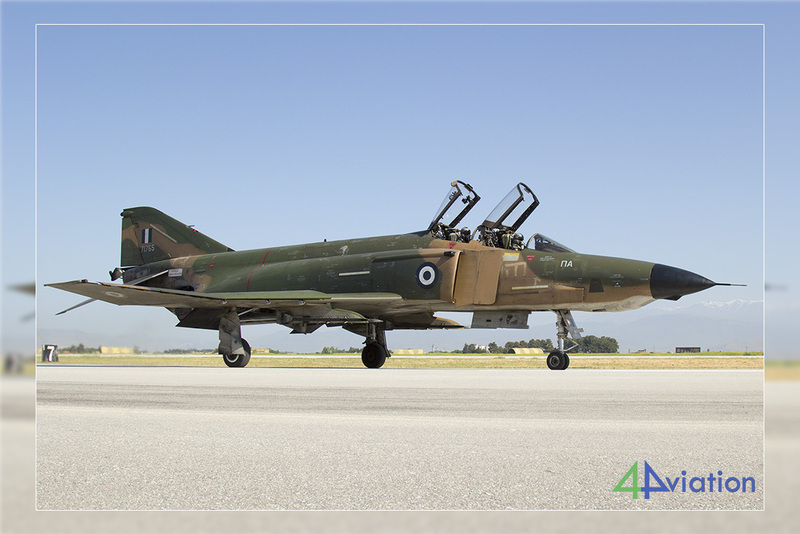 Next one up was the third and final operational RF-4E of the unit, also one in a special colour scheme. 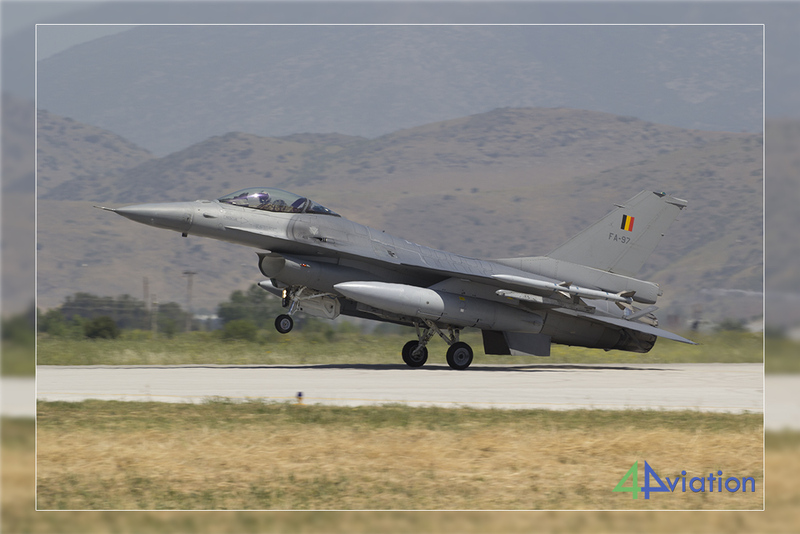 This one also taxied by for the hundreds of photographers that had come to the base from all over the world. 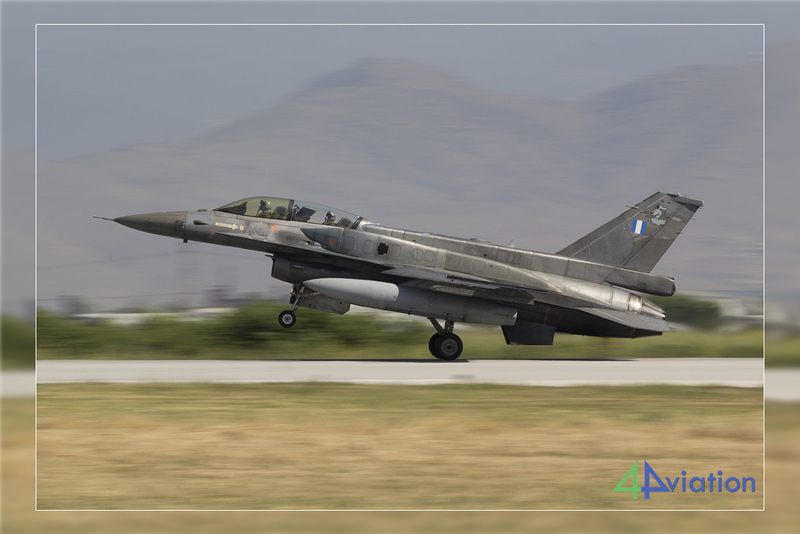 The procedure was repeated in the afternoon, with F-16s and the three Phantoms taking off. 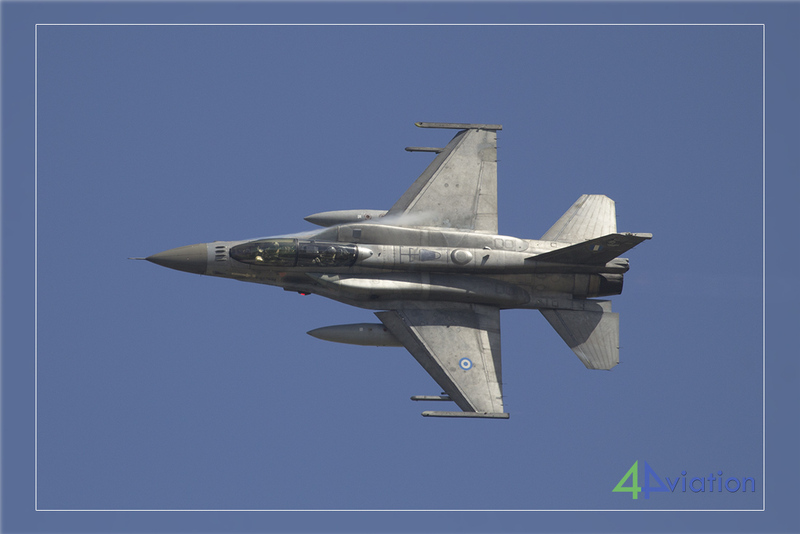 In the afternoon they practised a formation flight of the RF-4s with an F-16 and Mirage 2000. 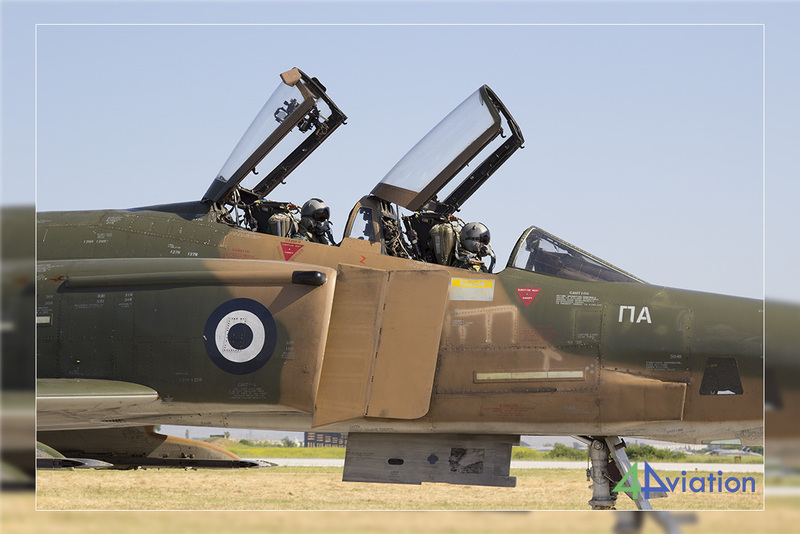 On their return the Phantom crews again made sure we could capture them well while taxying. Unfortunately there was no permission to show off for the visitors. 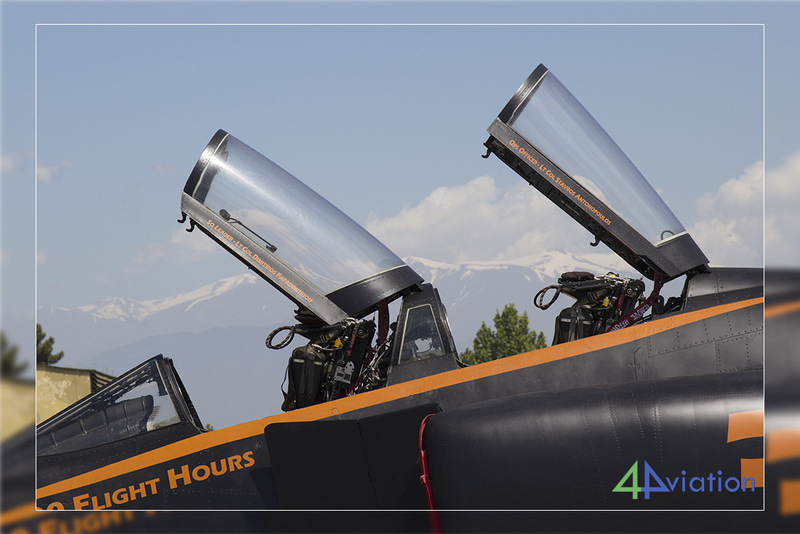 So, despite practising for it, the crew was not allowed to show interesting passes and cool stuff. 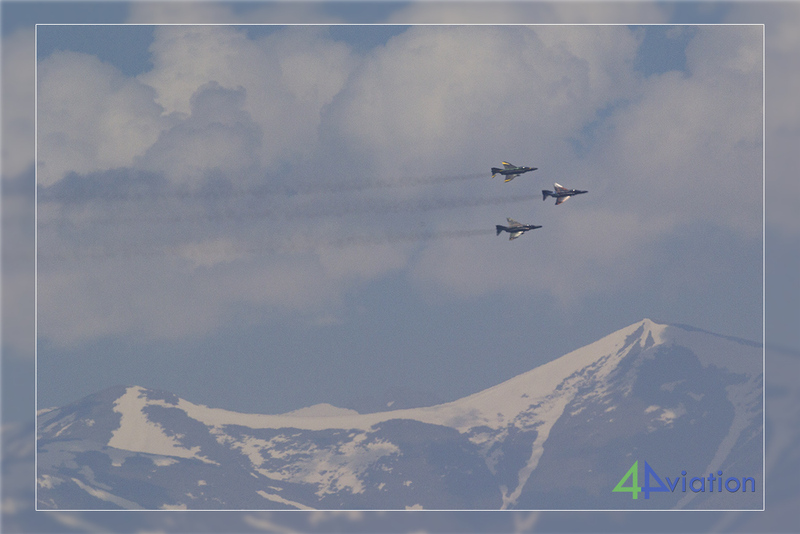 On Friday (5 May) we were welcomed at the base as well. The sun was performing at its best again and there we no checks at the gate. 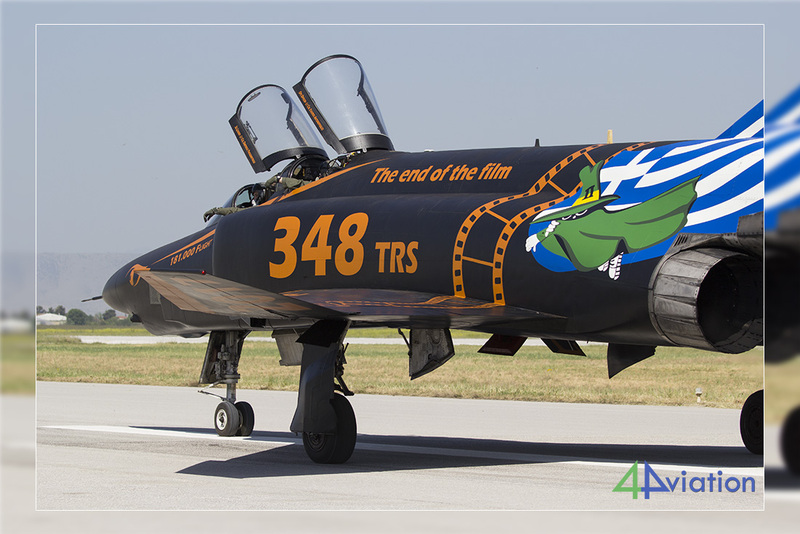 Today was the official ceremony for the withdrawal of the RF-4E from HAF services and the end of 348MTA. The event was also dubbed “The end of the film”, since it also meant the end of photo reconnaissance using analog film. From the point of view of the photographers that had come to Greece, today was a bit disappointing. 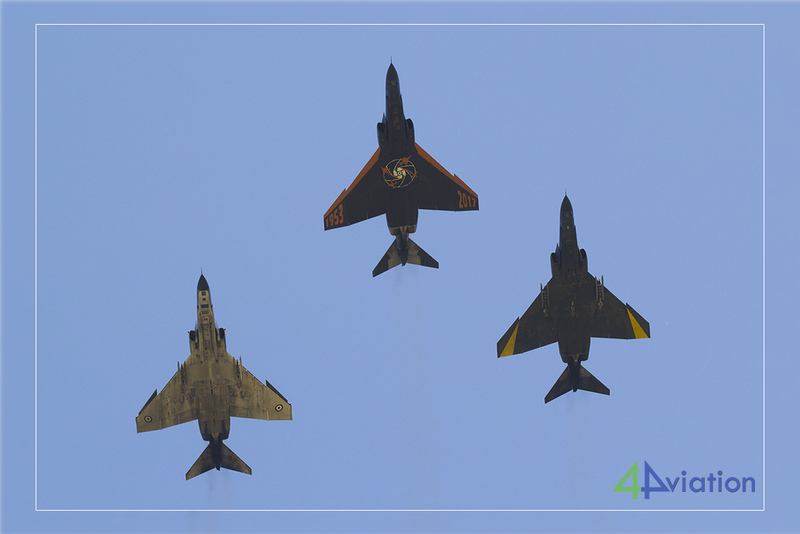 The three F-4s flew and did their formation flight with the F-16 and Mirage 2000. 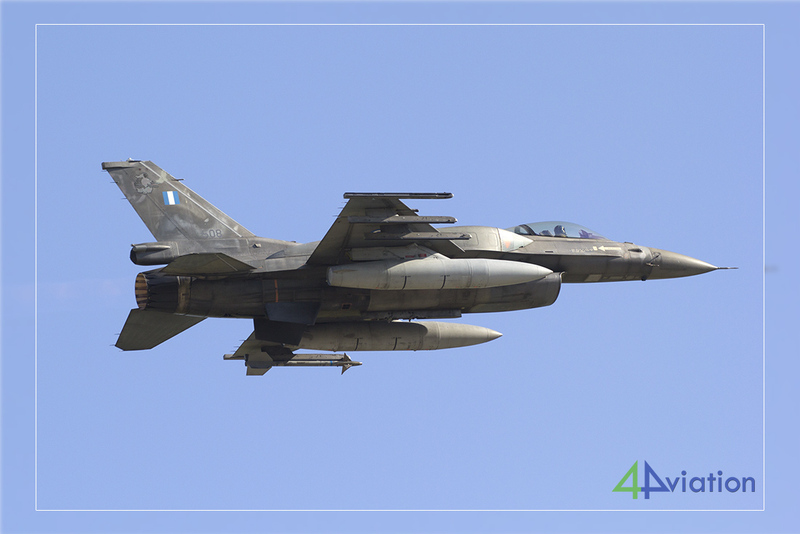 Furthermore we were treated to the F-16 and T-6 solo displays. 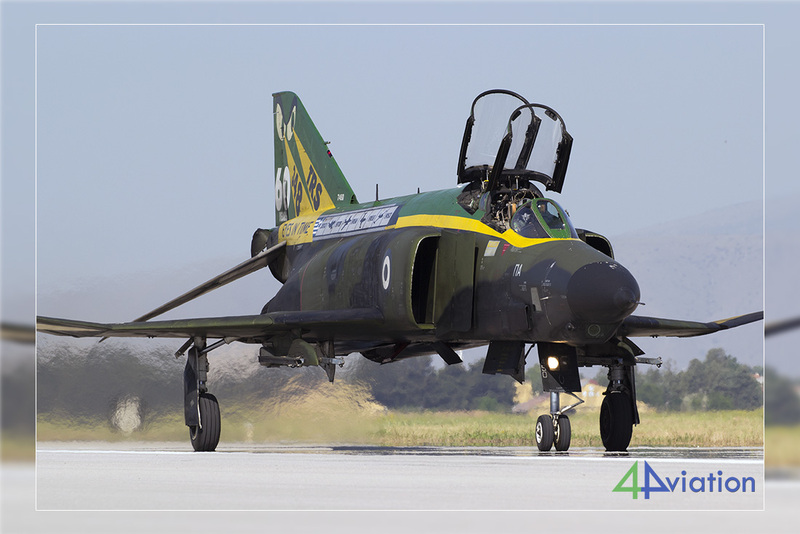 Unfortunately only one RF-4 came towards the crowd at the end of the event and didn’t taxi by in the way everybody was hoping and waiting for. The ceremony, and access to the base, ended around noon. The rest of the day was spent by almost all exploring the city of Larissa and capturing its sights. The evening was filled with good food and drinks on the various terraces in the city. Saturday 6 May signalled the end of the tour already. The bus driver was ready for the group in time as always and the luggage (including all goodies that were bought on base) was loaded onto the bus. After picking up the second part of the group at the other hotel we drove towards Thessaloniki again. The return journeys towards Amsterdam and Düsseldorf were some hours apart, so the group heading for the German airport could spend some time at the airport before boarding. Much of the handshaking took place at Thessaloniki and all were happy with the outcome of the short tour. Despite expecting a little more ‘showtime’ all understood that this was a last-minute change of plan and were grateful for the opportunity to be allowed on base during this historic moment.